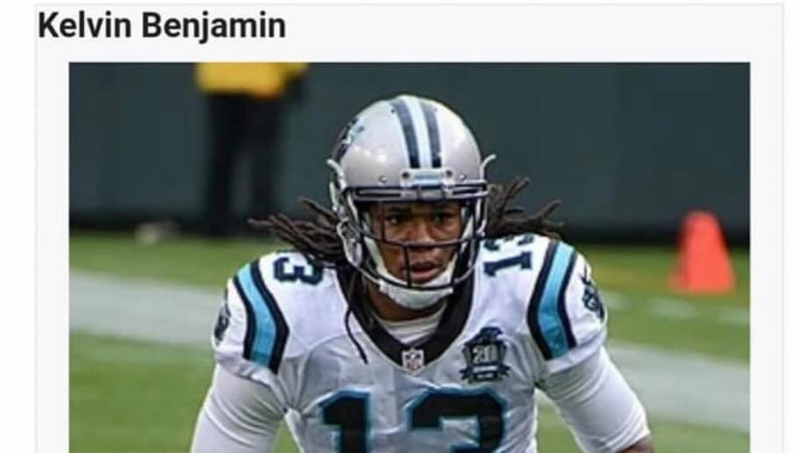 ​It's been a rough day for Kelvin Benjamin. Matter of fact, it's been a rough career. After being traded to the Bills from the Panthers, many were hoping he'd become the elite receiver many thought he'd prove to be. No cigar. After a disastrous fall with Buffalo, the team ​decided to cut him on Tuesday. Right after it happened, things got worse for Benjamin, as someone savaged the heck out of him via his wikipedia page. Though Benjamin has clearly gained some weight since his rookie season, 550 pounds seems a bit high. Nice try, though. Unfortunately for the 6-5, 240-pounder, that wasn't the only edit made. The poor guy can't catch a break. "... a free agent after being cut from the Buffalo Bills for being overweight even though their team is horrible." Yikes. Now, Benjamin will hope a team ​claims him off waivers, so he can get back on the gridiron and shut everyone up who continues to doubt him.